The Story...I waited for the sun to set at just the right time (on the muffler) so that it would appear, not necessarily as the sun, but as the tractor running red hot, or at least that was the intended illusion. This was the third or fourth trip to this location, and so far it's has proven to be a good place for pulling off some interesting photography. 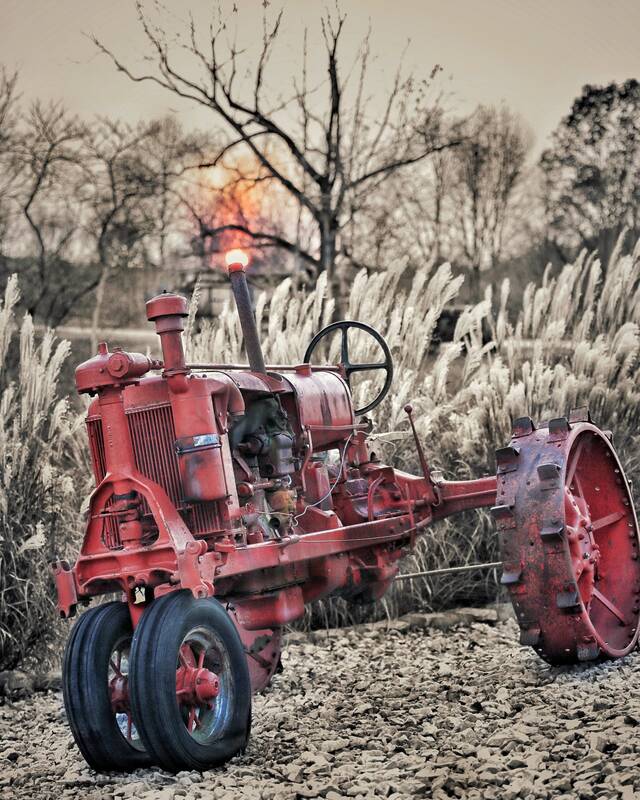 During the post processing of the photo I removed all the color from the landscape, much of the sun colors; leaving only a portion of the usual orange/red, and brought back all of the antique tractor's color. The overall goal was to leave the viewer with the impression of a photo that has a vintage look and feel to it. Photo taken November 2018.